Copy of interview with me carried out by PHOTOPHIQUE.COM. 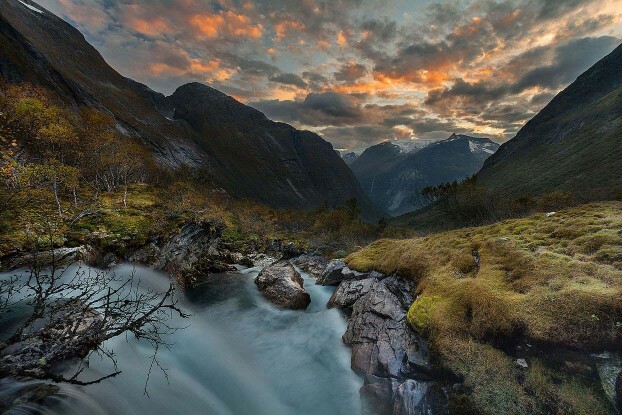 Source: PHOTOPHIQUE – Norway landscape photography. In this showcase series we feature the Norway landscape photography of Natalia Eriksson. Before I present myself it’s worth mentioning that I’m not a professional photographer but an advanced hobbyist in outdoor / landscape photography. Being educated as an engineer seems to be helpful as I have an analytical approach and use advanced techniques in the workflow process. I’m 36 years old but my photographic “career” started many years ago and hasn’t always been focused on landscapes. While I attended secondary school I received a very old rangefinder film camera from my grandfather and took my first pictures during the holidays. It was a very good experience and I decided to buy my own SLR camera. It was a Canon T70 with two lenses. Then the adventure began. Over the years I have experienced many fields of photography including: colour, B&W, diapositives and also digital. I have tried close-ups, portraits, touched the darkroom, enlargers and many more. But the only one thing that attracted my attention the most was landscapes. Since I can remember I felt very close to nature and loved to spend time outside -far away from the city with its noise and pollution. I was also impressed looking at other photographers’ pictures and tried to go the same way. Eventually, I moved to Norway and it was here that I found my photographic paradise – in the neighbourhood. 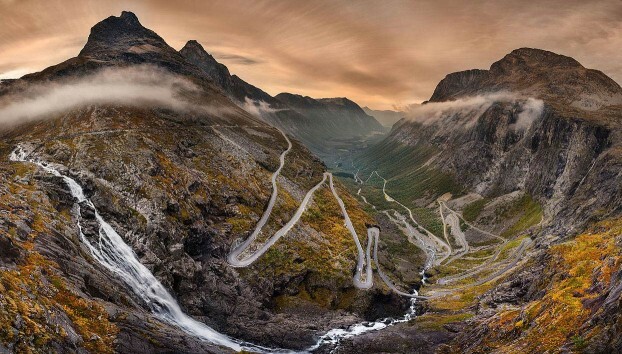 Can you tell as more about this Norwegian landscape series? I haven’t visited the whole of Norway just yet but I have experienced a little. My first trip was to Jotunheimen and from here I reached the Besseggen mountain ridge. It wasn’t easy getting there but it was worth it! Hiking with a backpack filled with photo equipment and drinking water weighing almost 10 kg took approximately 8 hours both ways. During the return journey I met a huge herd of reindeer. It was quite late so nobody except me was on the track. Unforgettable moment. 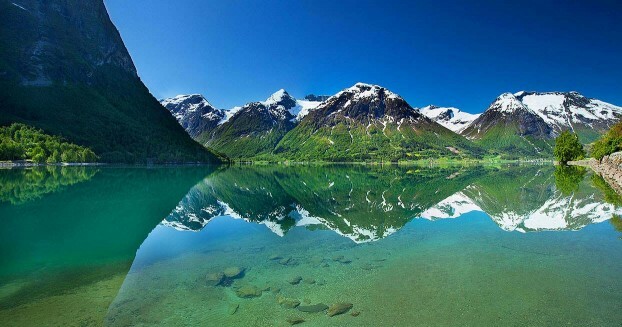 At the present moment my most favourite place in Norway is the Indre Nordfjord area. I have been there two times and there are so many places to explore. I would suggest staying in the vicinity of Stryn for 2-3 weeks to explore as much as possible. My top places are: Lodalen with a trip to the Bødal glacier, Hjelle with its fantastic locations, extreme Erdalen, long Oldedalen, Brikdsal glacier, Nos viewpoint on the Nordfjord and Skåla summit. A good book that I heartily recommend is “Indre Nordfjord” written by Olav JakobTveit. For accommodation I recommend Røberg Cabins in Robjørgane. 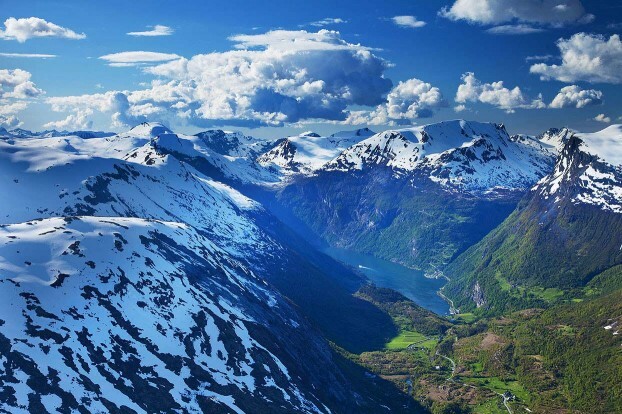 Don’t hesitate to take a flight with a helicopter over the Europe’s largest glacier – Jøstedalsbreen. Generally for a landscape photographer the most important aspects in equipment are: Relatively good camera, lightweight for easier transportation; a wide-angle lens to catch as much subject as possible in a single shot; sturdy tripod with a remote control to ensure that pictures will be as sharp as possible; and optional some filters eg. graduated and polarizer for contrast control. This is the absolute minimum and the quality of these parts will affect the final product which is the photograph. I decided to choose a full-frame camera. This is the best option for a serious landscape photographer, I think. I actually use a Canon EOS 5D Mark II with 17-40mm f/4L and 24-105mm f/4 lenses. For the tripod I chose a 4-section carbon Gitzo Mountaineer with Markins Q20 ballhead. This set gives me all that I need – flexibility, stability, quality and durability. My digital darkroom is quite common. I always take pictures in RAW format using a tripod and take separate pictures for darks and lights. Usually it’s enough to take 2 but there can be more – depends on the situation. I always check histogram on camera to ensure that no detail is missed (mainly in lights). Then I use the Adobe Camera RAW plugin for PS and adjust pictures mainly using basic sliders such as white balance, whites, blacks and also reduce chromatic aberrations, apply camera lens profile, etc. Sometimes noise reduction, straighten and so on. The next step is to open pictures in PS – always in 16 bit depth. I remove spots and blend them into the one using Layer Masks and Brush. On the merged layer I apply several filters such as Gamma correction for sky, special filters for micro-contrast and tonality, warming filters and a little sharpening. I recommend 3-rd party tools like Nik Viveza and Color Efex Pro. 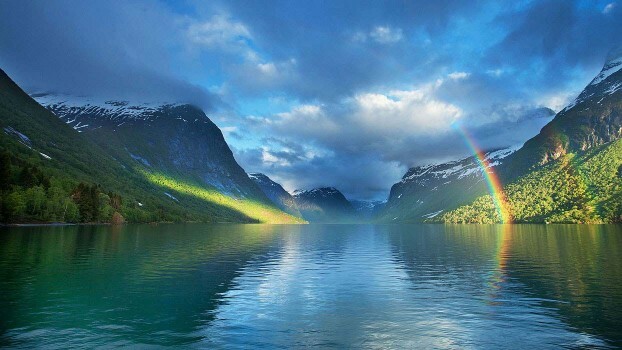 In 2014 I have some plans to visit Hardangervidda on the south of country and the Lofoten archipelago in the north. 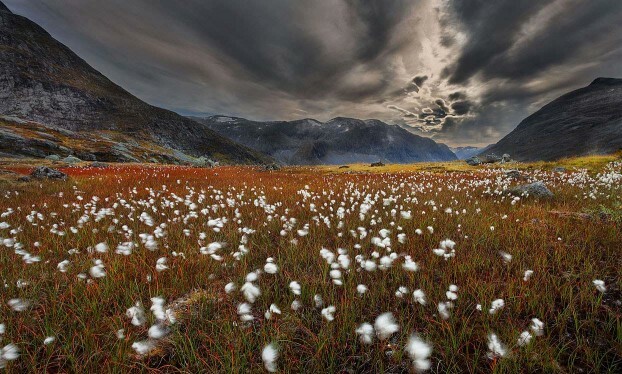 Hardangervidda is a mountain plateau and norwegian’s largest national park. The most interesting locations are: Vøringfossen, Låtefossen, Trolltunga and the general untouched lakes, rivers and mountains. 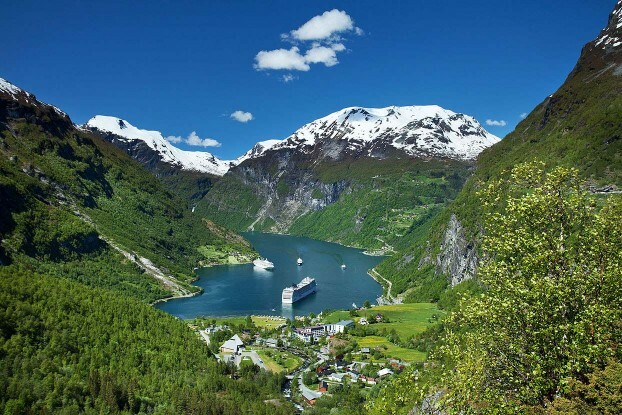 In this area it’s also worth visiting Folgefonna glacier and the surrounding locations such as Lofthus and Ullensvang situated by Sørfjorden – especially during early spring when apple trees are in blossom. The Lofoten Islands are probably the most visited norwegian destination for pro-photographers, especially with its famous Reine and breathtaking view from mount Reinebringen. Lofoten is an interesting place to visit both during the summer experiencing the midnight sun and during the winter with spectacular northern lights. You can see more of Natalia work via natalia-photography.com, or connect with her via Flickr. Photophique has express permission to publish these images and Natalia Eriksson retains full copyright to all photographs featured in this Norway landscape photography series.